While many prepare to enjoy the Labor Day weekend here in the United States the issue of weather becomes critical for plans being made. Will the weather allows us to have a picnic in the park, or to spend time at the beach with friends and family? 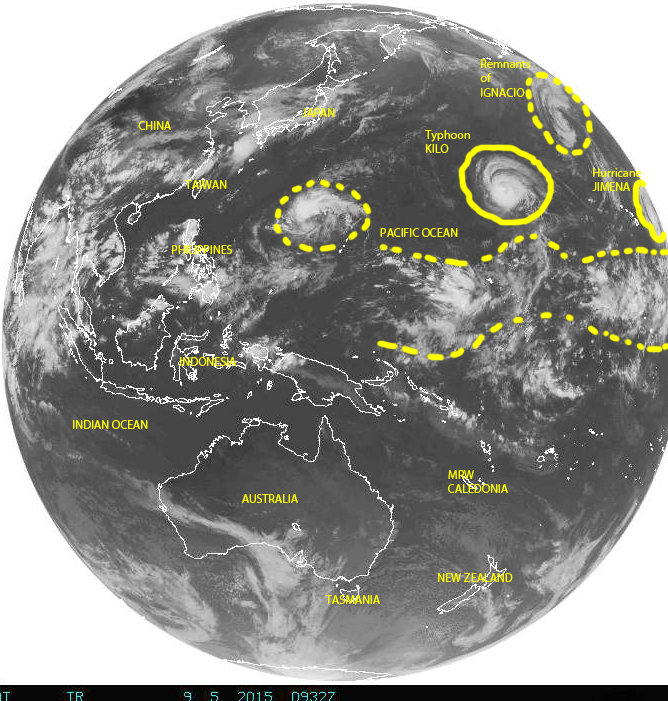 Speaking of weather, this morning I would like to share several images of Earth, in full-disk view, from space to give us an idea of what is happening weather-wise around the world, with particular attention to ‘tropical weather’ and cyclonic activity. 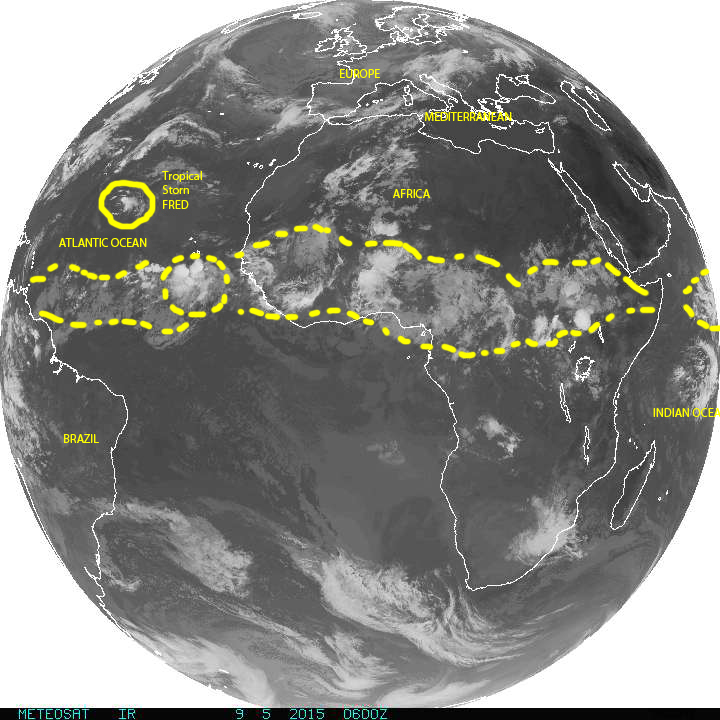 In these snapshots we see plenty of tropical cyclone activity including Tropical Storm FRED in the middle of the Atlantic starting to turn toward the Azores being chased by a tropical wave, which is showing some signs of potential further development to the south of the Cape Verde Islands. 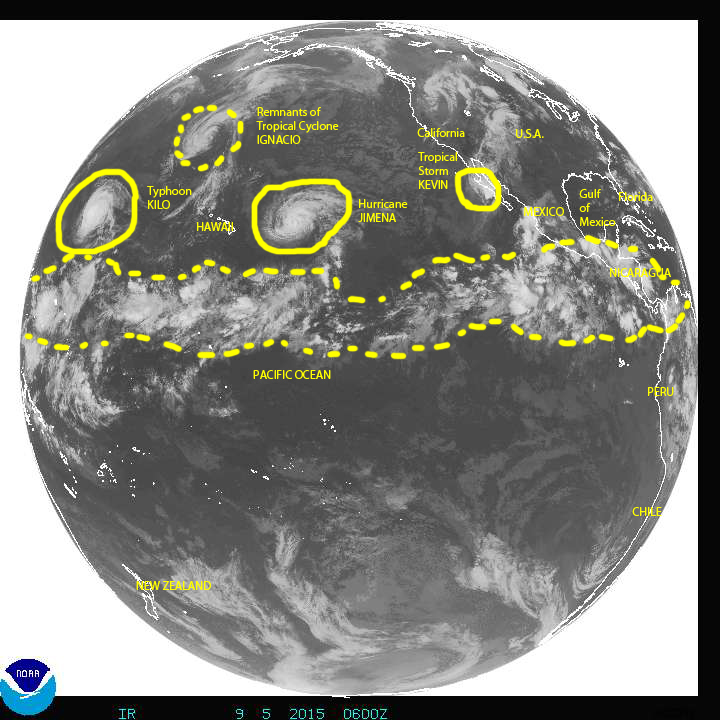 Over the Pacific we see plenty of activity from the eastern Pacific sub-basin to the Central and Northwestern Pacific in the form of hurricane JIMENA east of Hawaii, typhoon KILO to the west of Hawaii, the remnants of hurricane IGNACIO to the northwest of Hawaii, and tropical storm KEVIN just of the Baja California peninsula in Mexico. 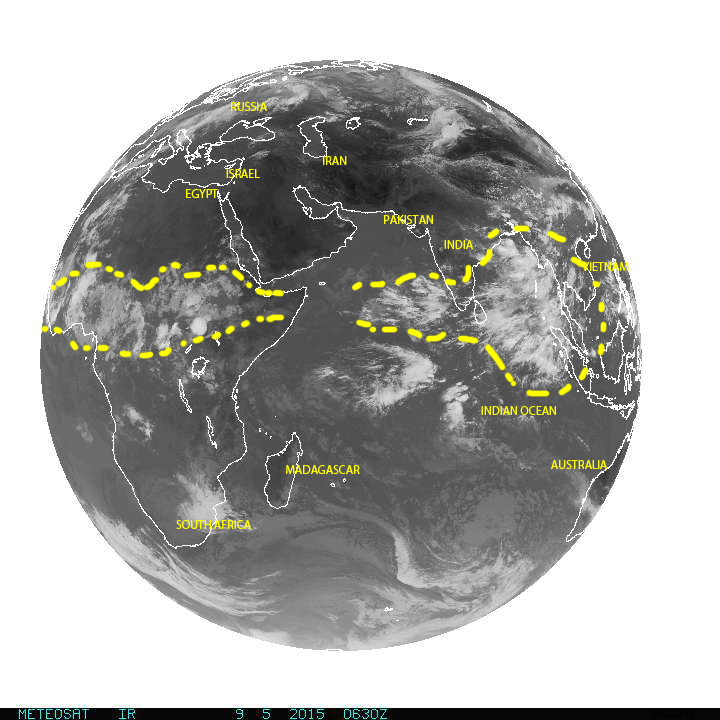 Noticeable in these images is the ‘belt of tropical cyclonic activity’ extending from eastern Africa through the Atlantic and the Pacific, all the way to the Indian Ocean over the Bay of Bengal and beyond to the west of India, almost encircling the whole Earth. 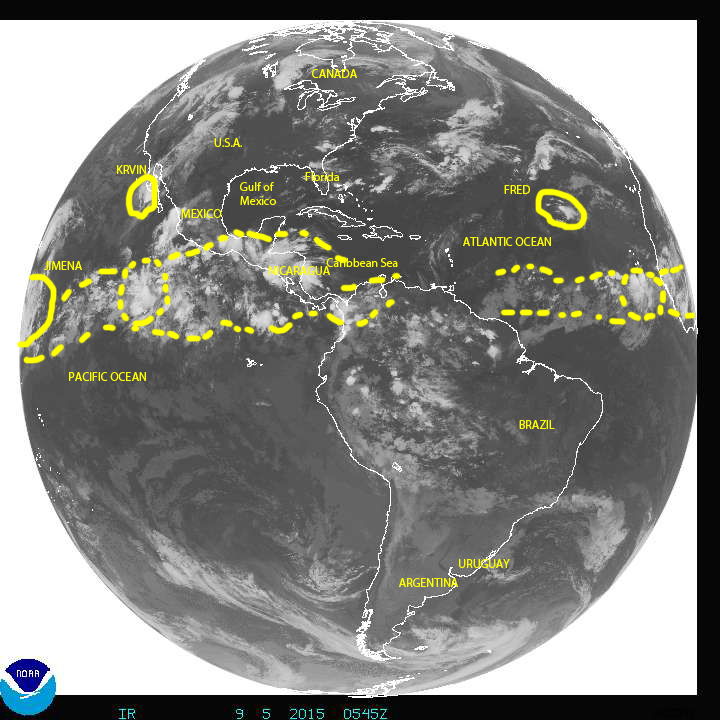 This a sign there are plenty of seeds that could generate additional tropical cyclones activity in days to come.